During the early years of my ministry, I didn't want criticism. I was scared of criticism. When someone told me what they didn't like, I felt rejected, mistreated. Twenty-one years after I started preaching, it was brought to my attention that criticism is a given. People thought it. I had the choice of knowing what others think and evaluating whether it is helpful or not helpful or of letting people know that I don't want it. If I choose that, my friend told me, "They won't tell you their criticisms until they are ready to fire (divorce, leave, reject) you." As I have reflected on that conversation on a Monday afternoon in 1982, I have thought about the absurdity of my original attitude toward criticism. When a person accepts a position of leadership (elder, deacon, preacher, teacher, parent, Christian), he or she is accepting an opportunity of being in front and calling others to a higher plane. My picture is that of a lightning rod. The encyclopedia says that a lightning rod is a "metallic rod (usually copper) that protects a structure from lightning damage by intercepting flashes and guiding their currents into the ground. 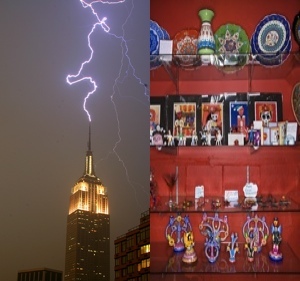 Because lightning tends to strike the highest object in the vicinity, rods are typically placed at the apex of a structure and along its ridges; they are connected to the ground by low-impedance cables" (http://www.britannica.com/eb/article-9048229/lightning-rod).